July 2018 will feel like a roller coaster for Sagittarians, mostly in the sense that it will be unpredictable, full of surprises and wonderful events. Monotony will end and a new period will begin, with new perspectives, broad opportunities and perhaps new surroundings. The impact of the planets on those under this sign will help in becoming more flexible and able to quickly adapt to different situations. The winds of change will not cause any discomfort to Sagittarians, as you'll feel your feet firmly planted into the ground. Quirkiness and prudence will help Sagittarians successfully solve their financial problems, and also strengthen their roles as team members. Some may take important steps forward in life, which until now were lacking in courage. Some may offer their hands and hearts in service, while some might sell their apartment, buy an expensive SUV, and go on a trip around the world. The beginning of July 2018 will be a difficult period for Sagittarians. Planetary alignments won't have much influence on the professional sphere. Some might act in ways that will hinder the possibility for promotions and career growth. Impulsive decisions may be more frequent, like writing a letter of resignation without thinking it over, to look for a more promising workplace with better benefits. Or perhaps some may even begin searching for interesting ideas to start their own businesses. Do not expect quick results, because this process is unpredictable and time-consuming. However, if you believe in yourself and in your abilities, do not hesitate to try something different. Send your CV to the most prestigious and highly rated companies, and soon your efforts will pay off positively. Be persistent, stubborn, and bold, for your actions will be favored. The middle of July 2018 will be a time when Sagittarians cool down in their professional pursuits, and shift their focus to family matters. Planetary influences will favor household relationships, as Sagittarians will start to take part in each of their family members' lives, and thereby build better relationships based on trust, love, and respect. However, freedom-loving Sagittarians may struggle with finding peace and being free of complications. 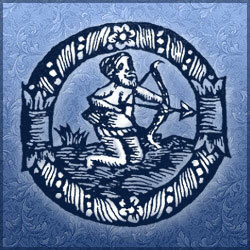 In all household matters, Sagittarians will actively and persistently defend their positions and opinions, which could lead to unnecessary conflicts. To avoid quarrels with loved ones, be more attentive to their feelings, respect their opinions, and even if you disagree, try to understand their perspectives and motivations. Don't be too judgmental. The better you try to understand your loved ones, the less chance there is of arguments arising. The end of July 2018 will be fun and carefree for Sagittarians. Astrological influences will favorably affect the physical and mental states of those under this sign, bringing harmony and balance to life and to the soul. During this period, Sagittarians will be able to successfully implement new business ideas, draw up short-term and long-term plans, and find new hobbies that could help unlock creative potential. Expect great prospects in the professional field, such as profitable business proposals. Do not rush into making decisions, and remember that you have enough time to think things through. Be mindful of ill-wishers who are trying to prevent your plans from being carried out. It is important to be cautious and take care of your happiness and energy.